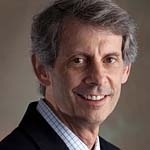 is John D. MacArthur Professor of Sociology and Law at Northwestern University and Co-Director of the Center on Law & Globalization at the American Bar Foundation in Chicago. He received the Stockholm Prize in Criminology in 2009 and was elected in 2010 to the American Academy of Arts and Sciences. Hagan is the Editor of the Annual Review of Law & Social Science. His research with a network of scholars spans topics from war crimes and human rights to the legal profession. 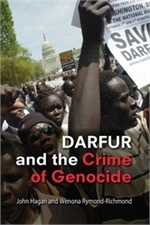 He is the co-author with Wenona Rymond-Richmond of Darfur and the Crime of Genocide (Cambridge University Press 2009), which received the American Sociological Association Crime, Law and Deviance Section's Albert J. Reiss Distinguished Publication Award and the American Society of Criminology's Michael J. Hindelang Book Award. His most recent book is Who are the Criminals? : The Politics of Crime Policy in the Age of Roosevelt and the Age of Reagan, Princeton University Press, 2010. 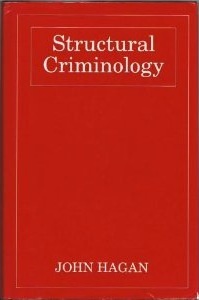 Cambridge University Press, 2008 Who Are the Criminals? Co-published by Polity Press (Cambridge) and Rutgers University Press. 1988/89.